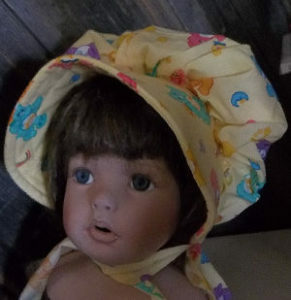 Baby Cotton Sunbonnets and sun hats are not just for baby girls. 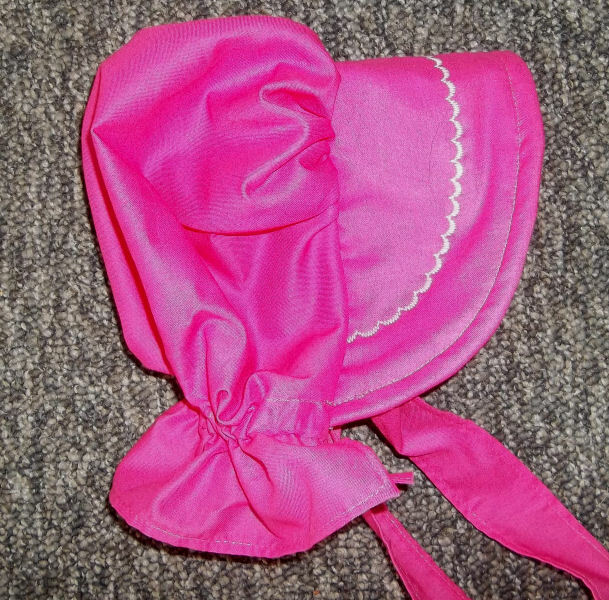 We have some bonnets for baby boys as well. which are perfect for summer wear and outside play. 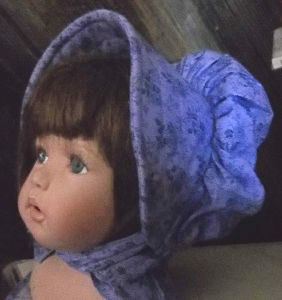 Made of light colors, these baby sunbonnets will keep your baby cool as well as protected from the heat and the burn of summer sun. 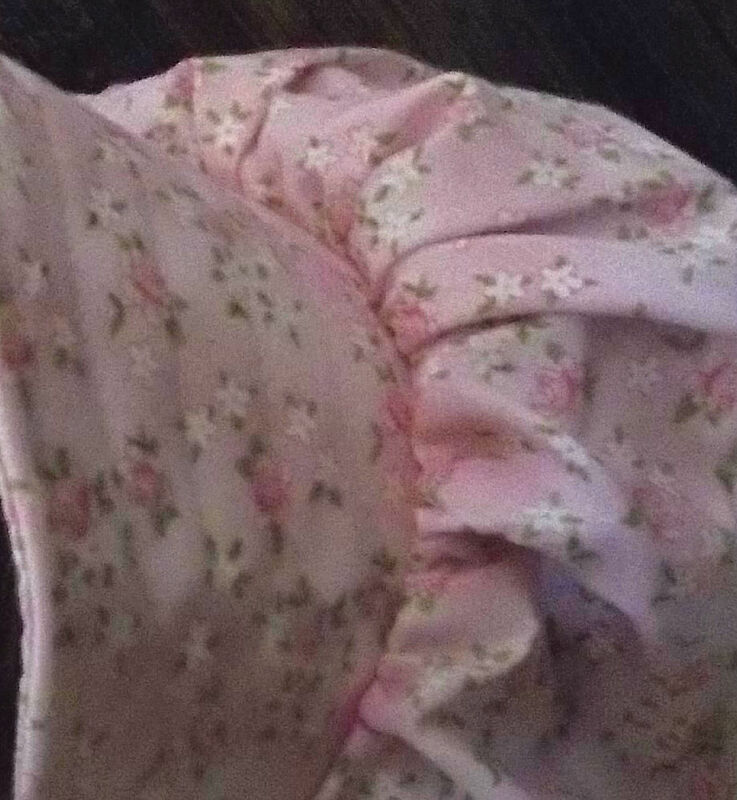 We pick soft pastels, summery colors and baby prints. 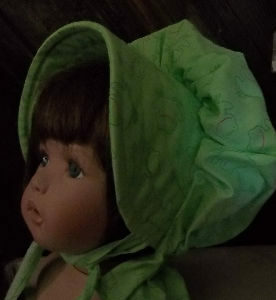 Some of the prints we choose, like Kermit the Frog, are even perfect for litle boys, For the girl bonnets, we like to use soft pinks, seersukcer with tiny prints, and even white and pastel eyelet. The eyelet material also makes wonderful christening and baptism bonnets. 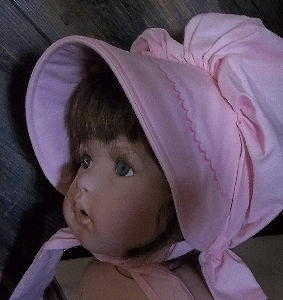 These baby girl and baby bonnets are made of cotton, or a cotton polyester blend. They are perfectly suited to summer outdoor play and will stand up to wear. 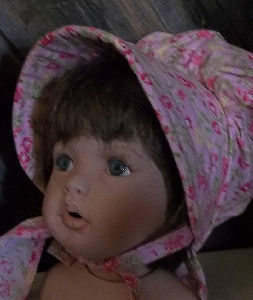 These sun hats are completely washable an easy to wear. 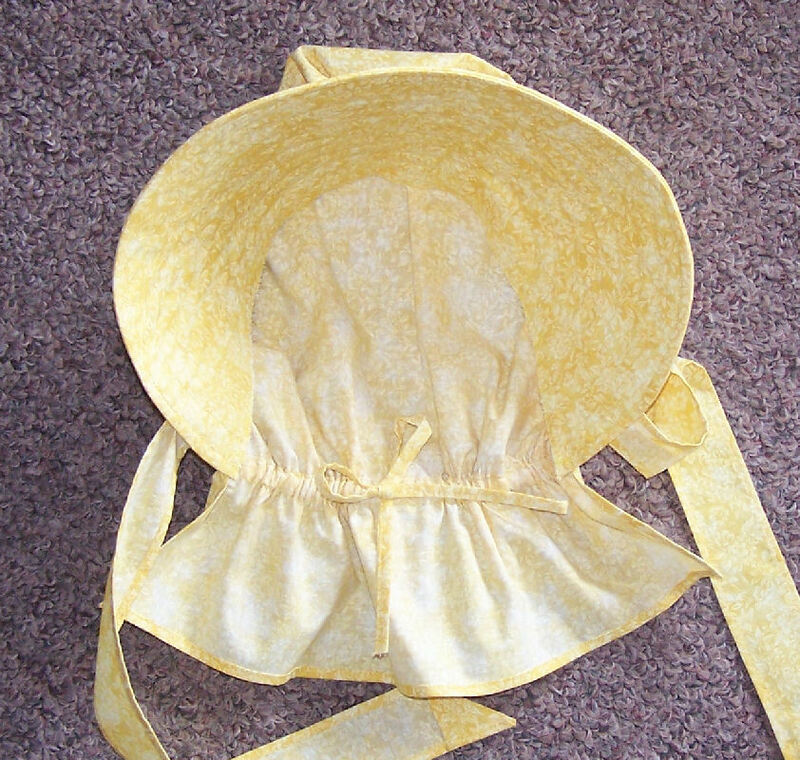 Our cotton sunbonnets are also adjustable with a ties at the neck ruffle line. 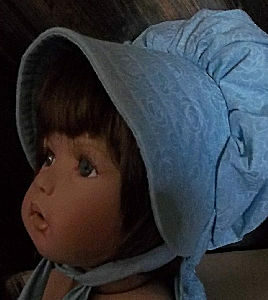 Brims are shady with a depth of 3 1/2" and a back neck ruffle of 2". 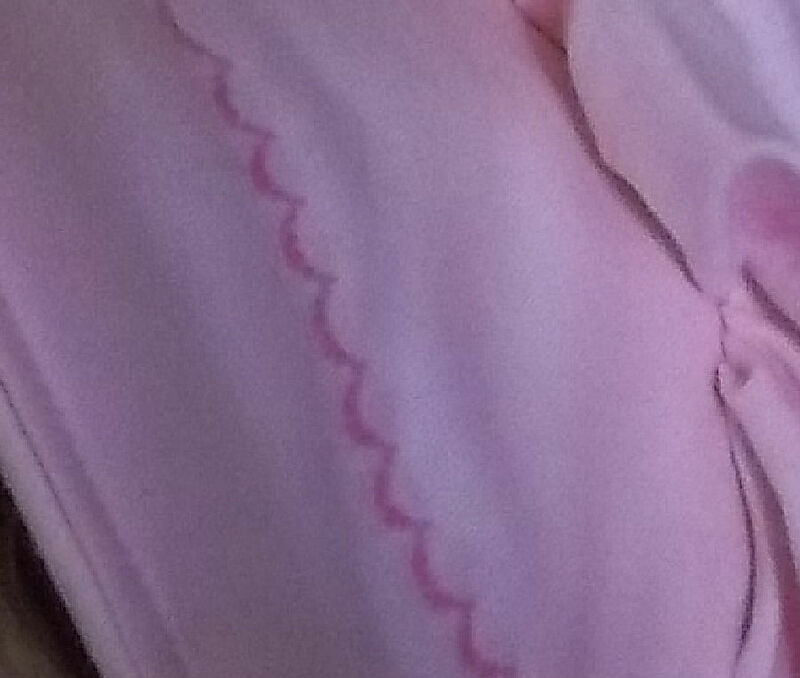 and will fit and infant from 3- 9 months. 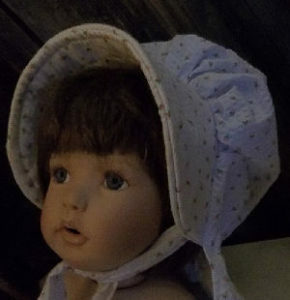 Though these bonnets are listed in size from an infant to several months, the cap can be adjusted to fit. 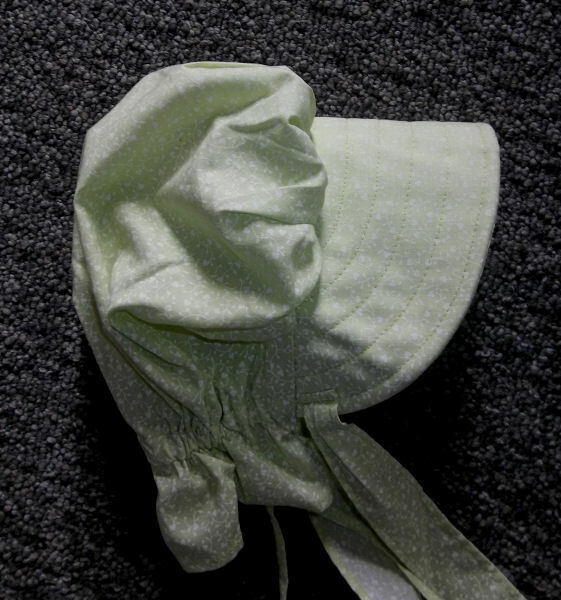 For the younger baby, pull the ties insdie tight which will reduce the size of the cap and pull the brim further back To create more room, loosen the ties. 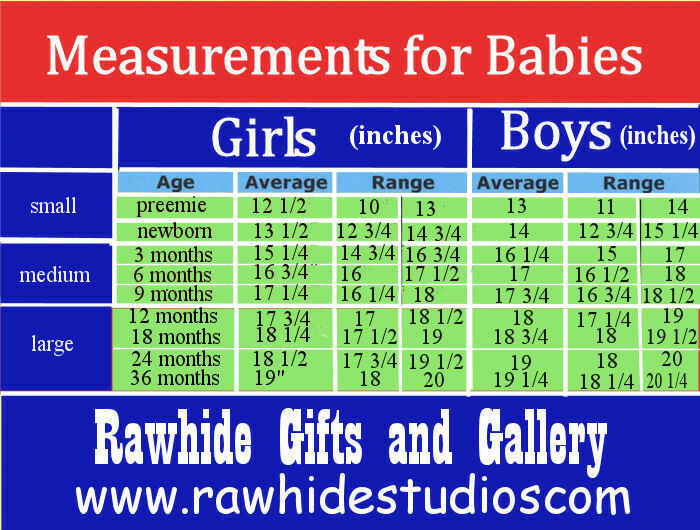 As well, to give you a better idea of measurements, visit this page, or view this baby bonnet boy and girl head measurement chart. 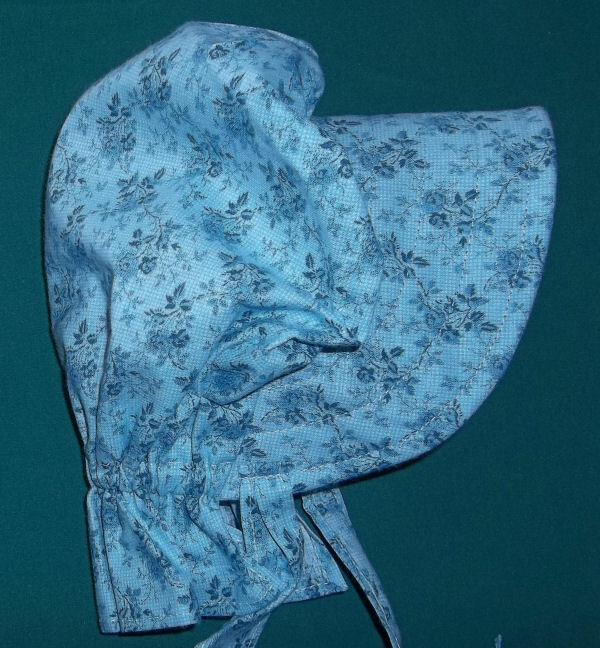 Its easy to care for these casual cotton bonnets by washing in a delicate cycle with a gentle detergent and dry on a low setting in your dryer. Or, you might want to handwash. 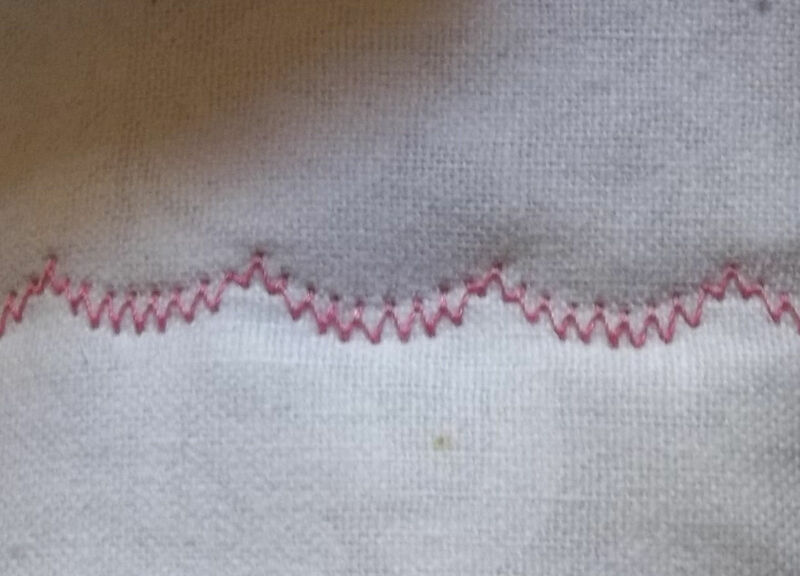 When dry, spray lightly with water and iron. 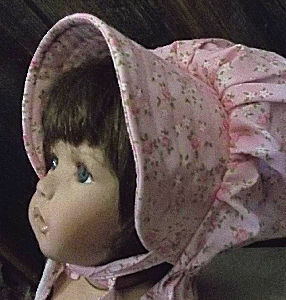 Our baby cotton sunbonnets are $12.95 plus shipping. 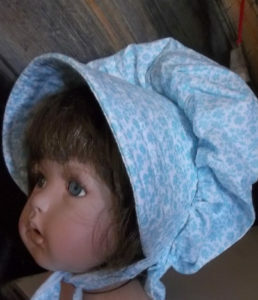 Shipping is included in the PAYPAL price and is shipped FIRST CLASS. 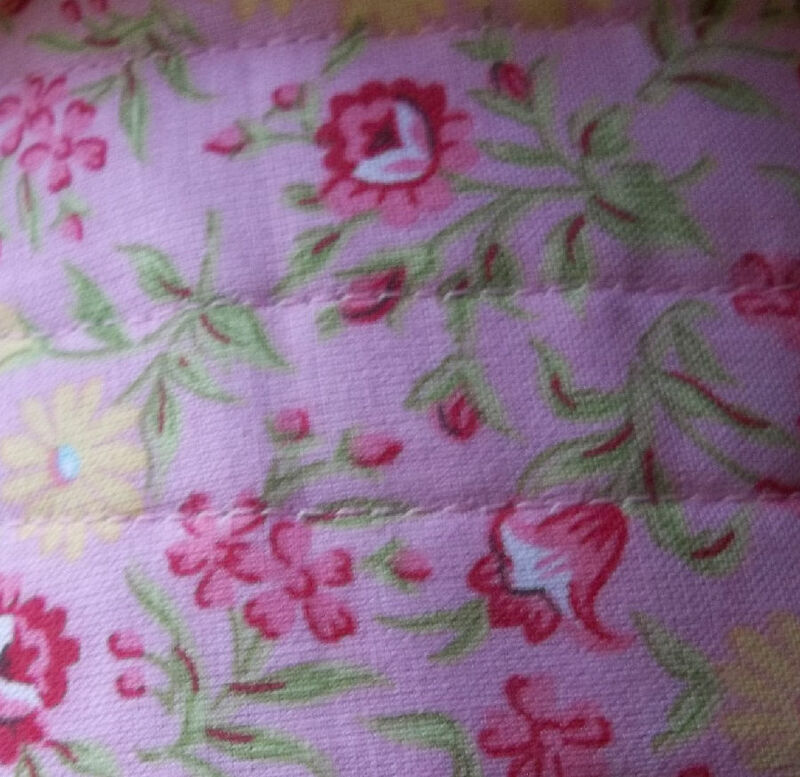 #7 1 avble Lt lime w/tiny white flowers, color is gorgeous! 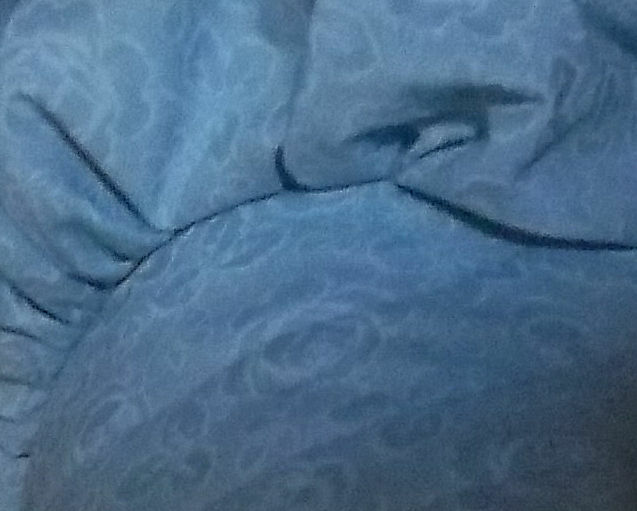 #10 2avble Blue-gray w/tiny, subtl circular patterns. 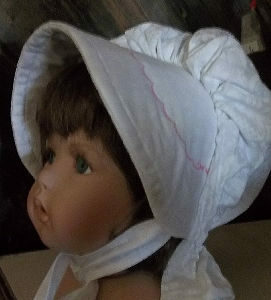 #12 2 avble White bonnet, subtle pattern.